Serlachius Museum Gustaf and Art Museum Gösta. 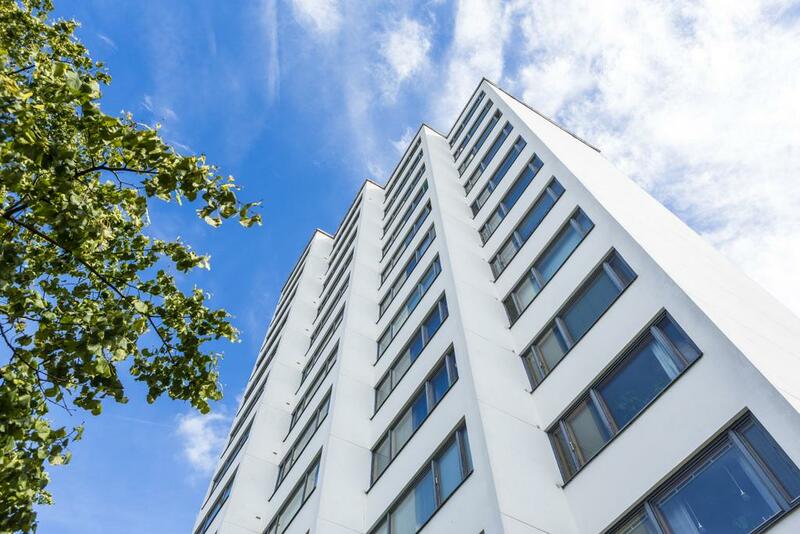 Jyväskylä, the capital of Alvar Aalto’s architecture: follow the footsteps of the master from classicism to functionalism and from architecture in brick to monumentalism! 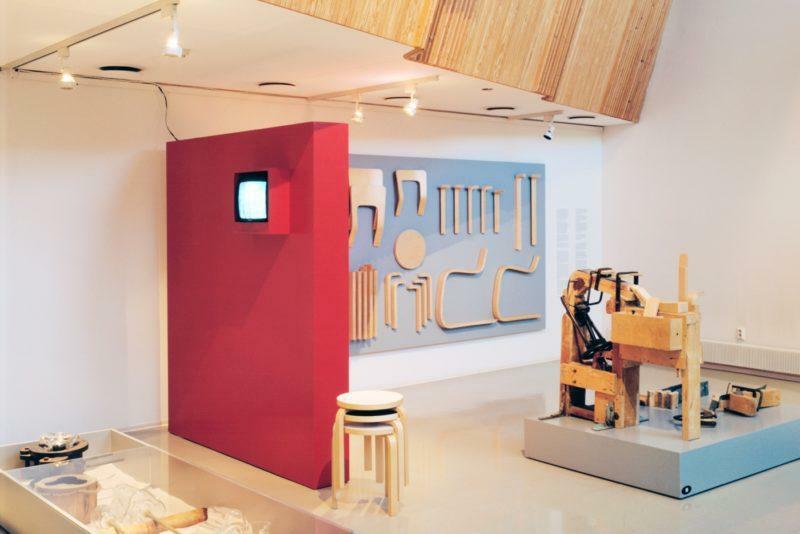 What significance do art, architecture and design hold for Finland and its people? What is the relationship between art, architecture and design and the forest industry, the traditional lifeline of the Finnish economy? How close to nature can Finnish architecture and design get? The Alvar and Gösta tour offers a unique insight into the Finnish way of living in close relationship with nature. 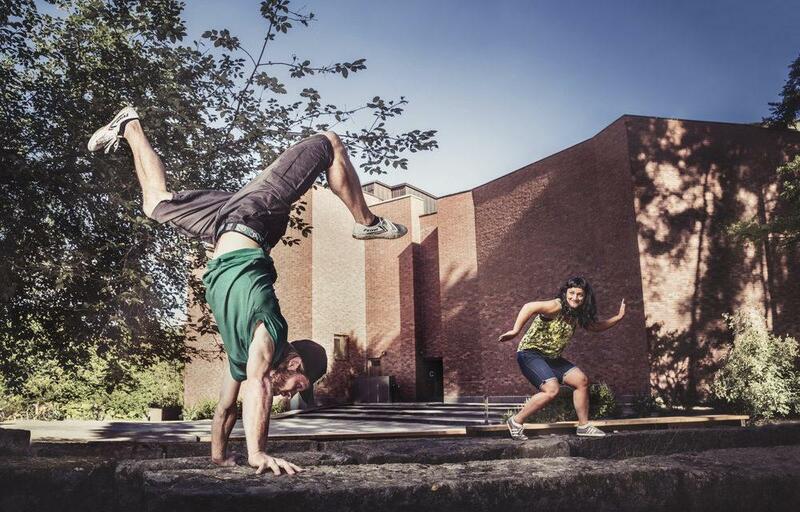 The tour offers unforgettable experiences for fans of culture and those who would like to learn more about the Finnish way of life in the midst of the most beautiful landscapes in Central Finland, where lakes, rivers and forests are ever present. Th Serlachius Art Museum Gösta in Mänttä is surrounded by woods. Photo: Serlachius Museums. The Alvar and Gösta tour offers a unique insight into the Finnish way of living in close relationship with nature. Learn how forests have been omnipresent in the life of Finns, whether in architecture and design or the wood-processing and forest industry. 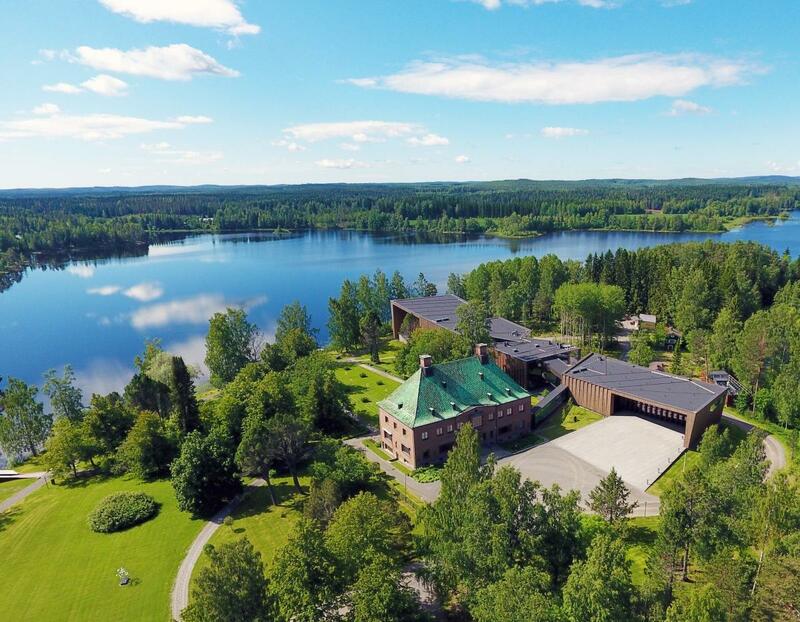 Serlachius Museum Gustaf is situated at a beautiful lakeside in the center of Mänttä. Photo: Serlachius Museums. The Serlachius Art Museum Gustaf was originally the headquarters of the G.A. Serlachius Company. Photo: Serlachius Museums. The Art museum pavilion Gösta opened for public in 2014. Photo: Serlachius Museums. Arrival in Mänttä, the Tale of the Finnish Forest tour . 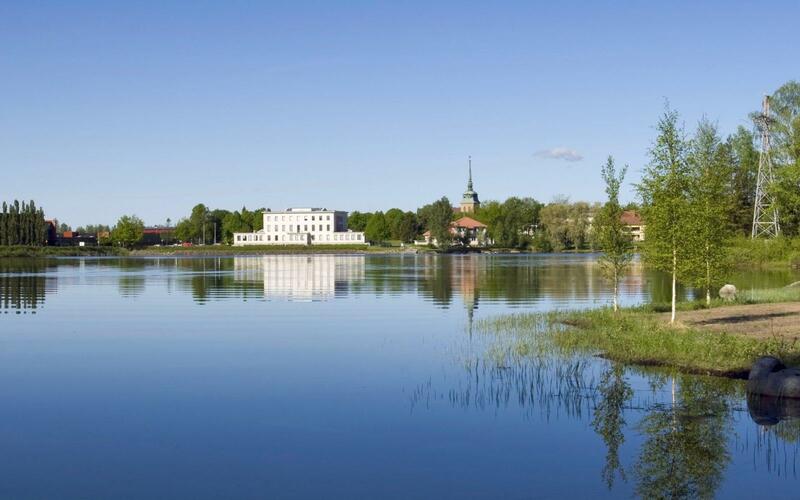 The Town of Mänttä stands on a beautiful strip of land between two lakes. 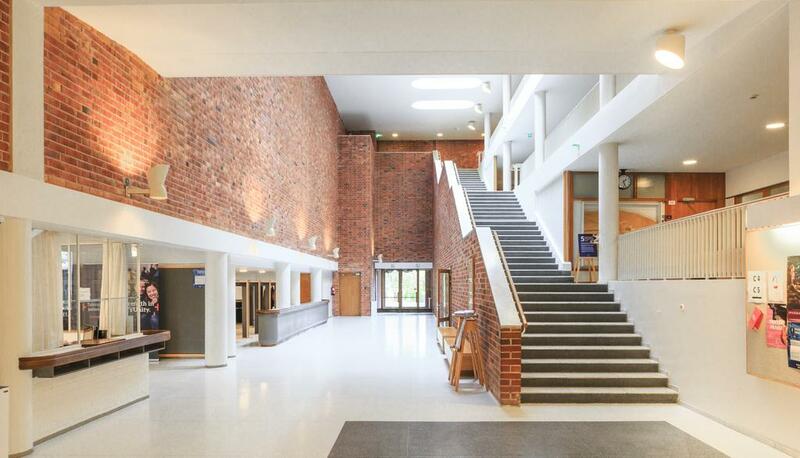 We will arrive at the Serlachius Museum Gustaf, a magnificent building and a former head office built in the 1930s after an architectural competition that Alvar Aalto in fact lost. Nowadays this building offers an abundance of experiences. We will time warp back to the year 1951, breathing in the hierarchical atmosphere of the head office. A stern recruiter will give us her personal welcome and test whether we are suitable for a position in the wood-processing company! We will also have an opportunity to make paper ourselves and get acquainted with the “Paper Devil”, G. A. Serlachius, who was a pioneer of the Finnish paper industry, notorious for his erratic business sense. His life and business affairs are presented in the eloquent exhibition that contains eight dramatised scenes. Next, we will visit the former manor house of Gösta Serlachius and the new pavilion next door, where lunch will be served from the menu created by leading Finnish chefs. All food is made from the best seasonal Finnish ingredients. 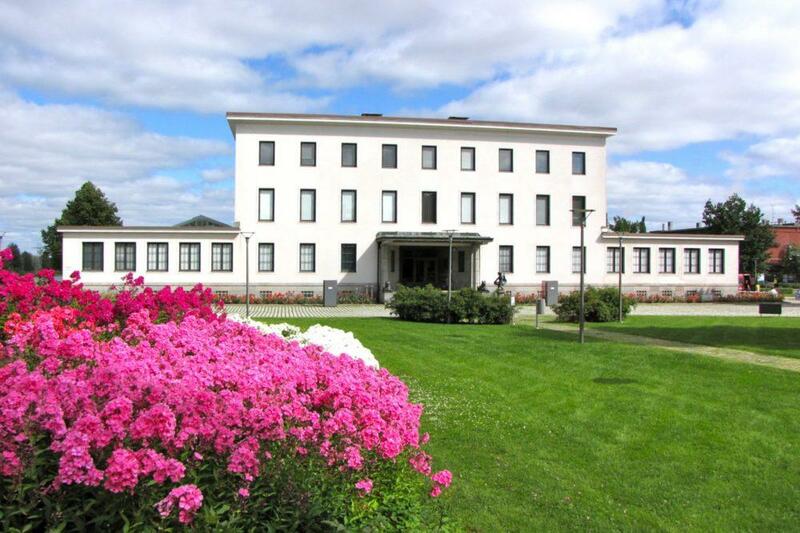 Art Museum Gösta is known for having one of the best collections from the Golden Age of Finnish art. Many of the artists from this period, 1880–1910, were strongly inspired by Finnish nature. 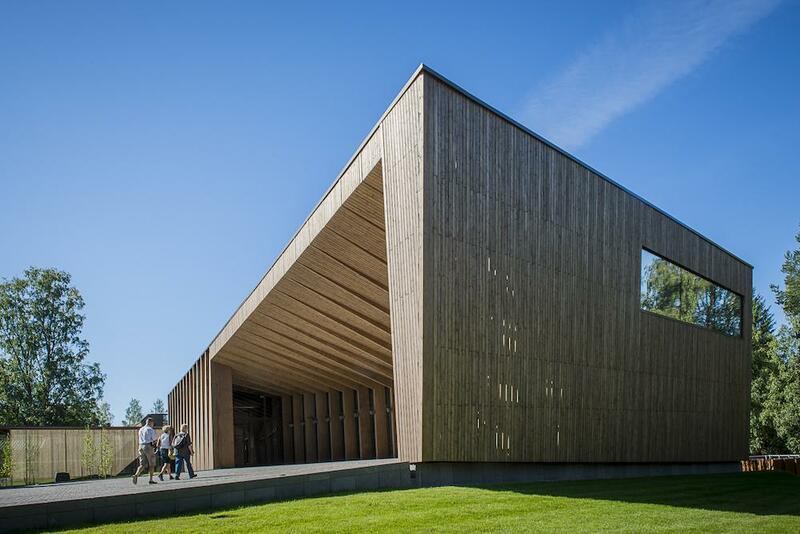 We will also explore the new building, the large pavilion, an award-winning specimen of contemporary wood construction. Coffee break at a peasant log cabin or Gösta’s ski cabin, which today serves as a wine bar. We will enjoy a cup of coffee or other beverages in Autereen tupa, a traditional Finnish log-built house that used to be the residence of the estate manager, before we head to Jyväskylä, the capital of Alvar Aalto architecture. Jyväskylä is a bold and vibrant city in the middle of the most beautiful part of the Finnish Lakeland. The city is known as the capital of Alvar Aalto architecture as it boasts more buildings designed by the master than any other city in the world. 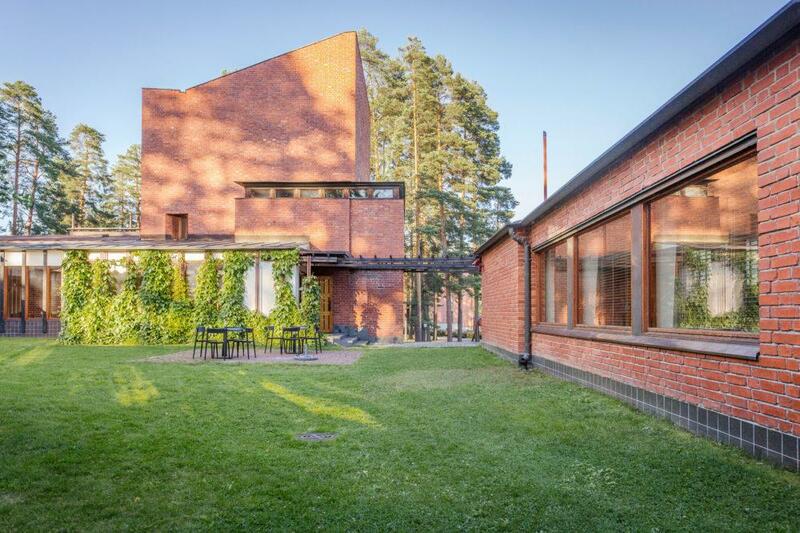 Who was architect Alvar Aalto? 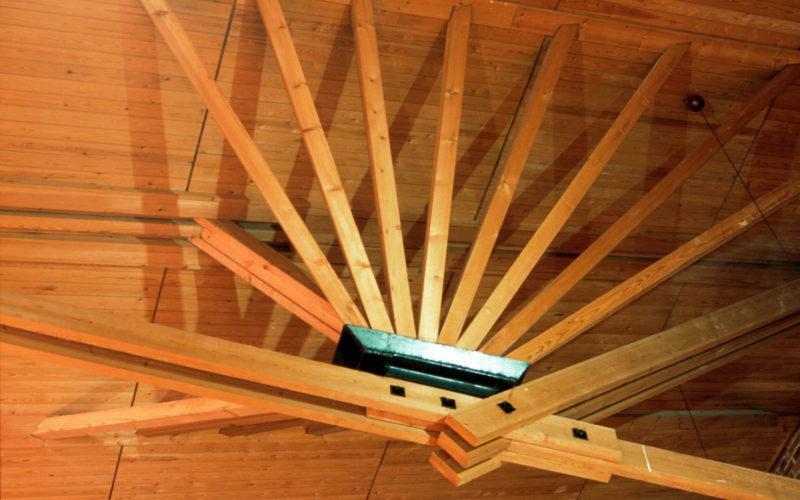 What is the legacy of his design and architecture for the Finnish mental landscape? 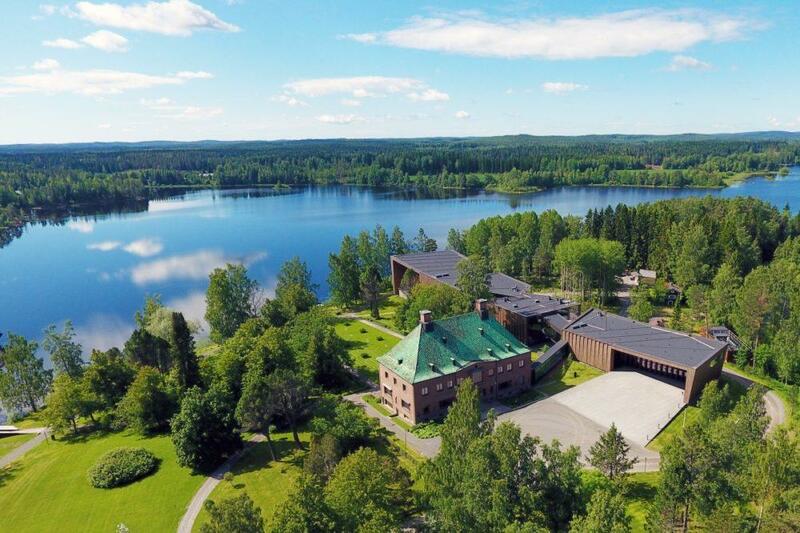 What did the landscape of Central Finland with its lakes and forests mean to Alvar Aalto? 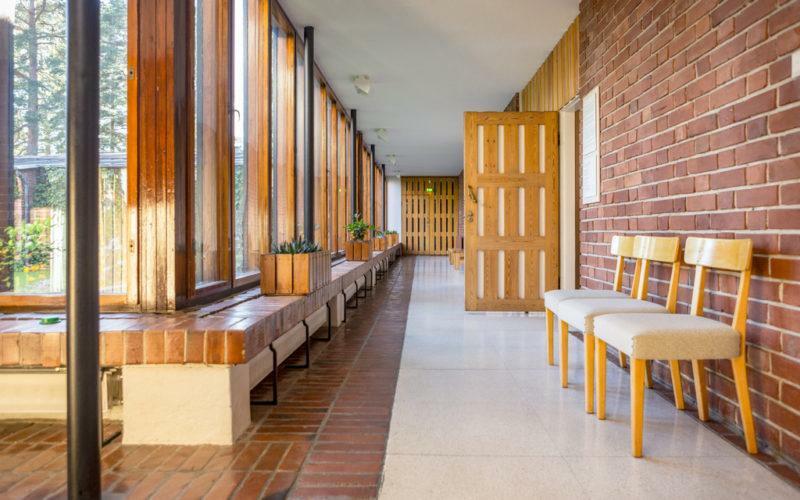 The tour takes us through the milestones of Alvar Aalto’s life and career, from a schoolboy to the iconic master of his art. We will hear interesting and fascinating stories about his life and his personal character, his professional highs and lows, and his sources of inspiration – and we will also learn about some of his unrealised projects. Duration 3 hours. Workers’ Club, Civil Guard Building, the Administrative and Cultural Centre and University Campus. 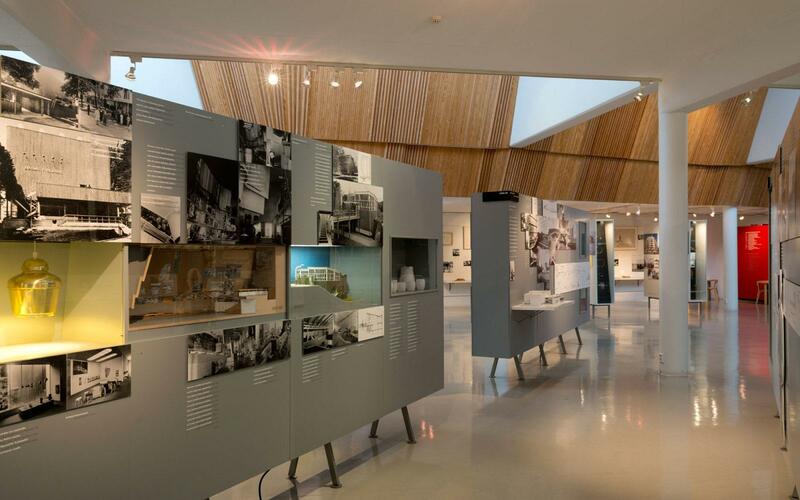 The tour ends at the Alvar Aalto Museum where the permanent exhibition tells the story of Finland’s best-known architect and designer Alvar Aalto through his life and extensive, rich career. Lunch at the museum café, surrounded by Aalto’s architecture. As part of the lunch menu, we can taste Alvar’s cake, with wild lingonberries picked from Finnish forests and delicious white chocolate. On this cruise we will have the chance to see the landscapes around Lake Päijänne and Säynätsalo, which were a strong inspiration for Alvar Aalto, aboard the same Suomi steamboat on which Alvar himself used to travel. We will also pay a visit to the Säynätsalo Town Hall. A sumptuous lunch is served onboard. Arrival at the Säynätsalo boat harbour at 15.20, from where we will walk with a guide to the Säynätsalo Town Hall nearby. 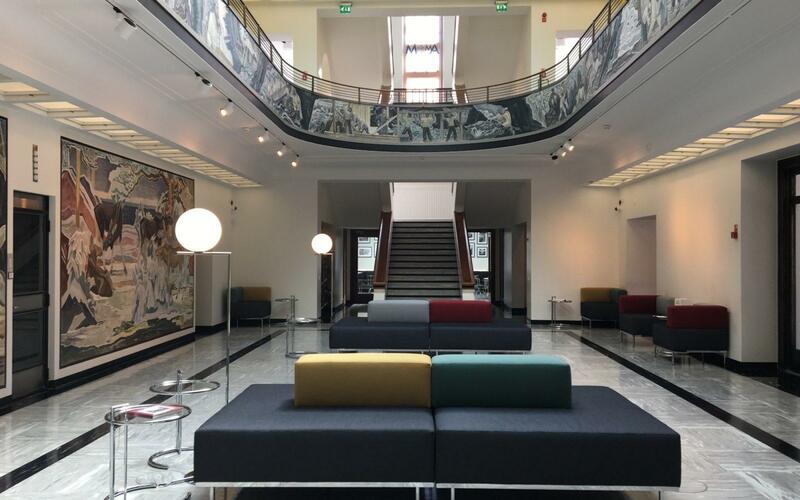 At the Town Hall, the guide will give us a tour through the fascinating building and tell us more about Alvar Aalto and his work. At the end of the tour, we get to taste Alvar’s cake at the Säynätsalo Town Hall café. 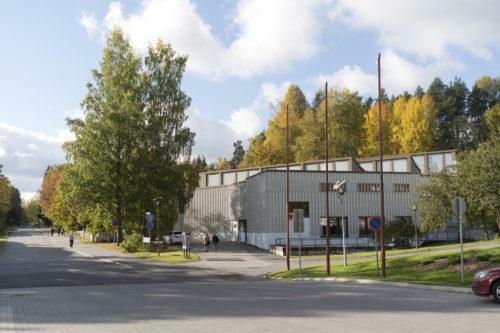 We board the bus and head for a number of major Alvar Aalto sites outside the city centre. Duration 2 hours. Muurame Church and Säynätsalo Town Hall, where we will stop for coffee. Opportunity for shopping in the city centre, independent dinner. Restaurant Harmooni, a cosy cellar restaurant in an old harmonium factory.Restaurant Figaro, Chaîne des Rôtisseurs since 2010, wine bistro.Restaurant Vesilinna, in the water tower on the Harju hill, with great views over the city. Finnish breakfast at Hotel Verso. Check-out. Serlachius Museum Gustaf, a magnificent building and a former head office built in the 1930s after an architectural competition that Alvar Aalto in fact lost. Nowadays this building offers an abundance of experiences. We will time warp back to the year 1951, breathing in the hierarchical atmosphere of the head office. A stern recruiter will give us her personal welcome and test whether we are suitable for a position in the company! The group arrives by its own bus. Transfers between the attractions by the groups’ own bus during the visit. Price: 245 euros per person, min. 20 persons.